I-39 to Oglesby, head east to the 1st stoplight, turn left, follow the lane to the left past Subway to the end of the lane. Turn left into the parking lot, look for the door with iCall's Logo. 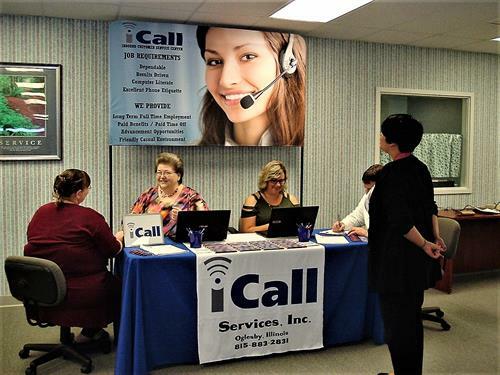 iCall supports hundreds of thousands of customer transactions each year with the ability to provide 24/7/365 support through virtually any contact channel. Our U.S. based center has the capacity and flexibility to tailor support to meet your needs. Our combination of dedicated client resources and contact center technology ensures the highest level of customer care in the industry.